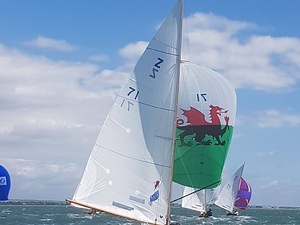 The Notice Of Series for the Autumn 17 Parhelion Series is available in the Racing section of the website. 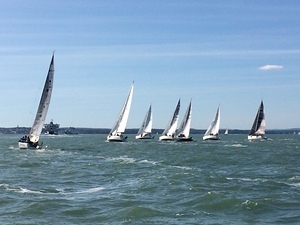 The series comprises racing on six consecutive Saturdays, 23 Sep through to 28 Oct.
PSC Victorys and Squibs enjoyed a breezy Cowes Week this year! 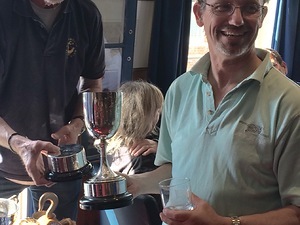 Pictures here (courtesy of Phil Jones) taken during the final race of the week. 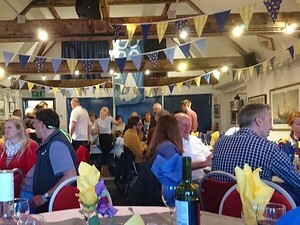 More on the Victory and Squib Facebook pages. 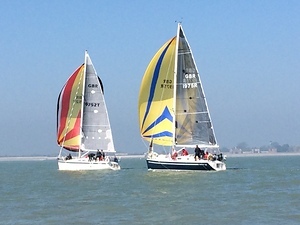 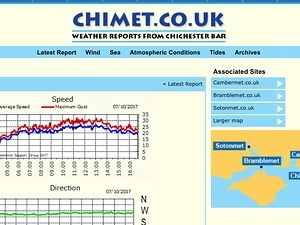 The final two races of the Spring 2017 series were completed (on Sat 22 Apr) in beautiful sunny conditions with a steady 12 kts from the North East. 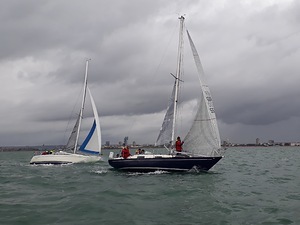 Race officer Ricky Hodgson set two courses that kept the fleets busy in the triangle between Gilkicker and the Spit Sand Fort, however the highlight (for some!) 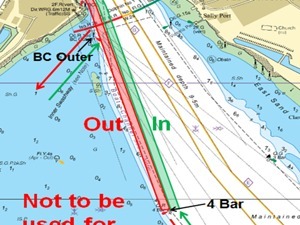 was the downwind start for the final race.